It is learnt that the YSRC is considering industrialist Potluri Vara Prasad (PVP) for Vijayawada Lok Sabha segment, Lagadapati Rajagopal for Narasaraopet, Daggubati Purandeswari for Ongole, Vangaveeti Radha for Machilipatnam, and Undavalli Arun Kumar for Rajahmundry. The YSRC has started its exercise of working on MP constituencies and is looking to field celebrities and popular personalities for Rajahmundry, Vijayawada, Narasara-opet, Ongole and Machilipatnam seats. While the TD is looking for new strategies for MLC elections in the proposed polit buro meeting on Sunday, the YSRC is a little bit ahead and thinking on the lines of 2019 general elections. However, Undavalli has reportedly expressed his disinclination towards contesting direct election, according to sources, while PVP and Purandeswari are reportedly in touch with YSRC chief Y.S. 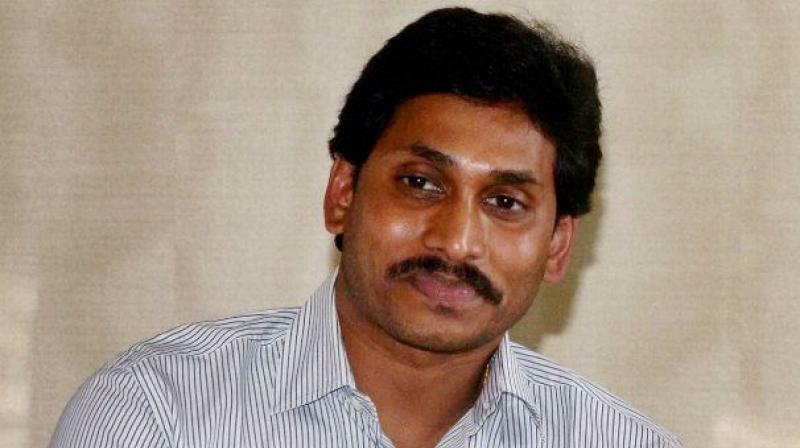 Jagan Mohan Reddy. When it comes to the case of Vangaveeti Radha, son of Congress leader Vangaveeti Mohana Ranga Rao, he is reportedly in a dilemma as to whether to contest from Machilipatnam LS segment or Vijayawada central Assembly segment. “Though it is too early to initiate a discussion on candidates for Lok Sabha segments, our think tank has identified celebrity leaders and personalities for five LS segments and wants to spread the message to the masses,” a senior leader of the party said, adding that winning votes is the only criteria, as of now for the YSRC. “To counter present MP Kesineni Srinivas, PVP will be the right choice for Vijayawada,” a senior leader said and expressed the confidence that PVP’s candidature would have an impact on the traditional TD voting.